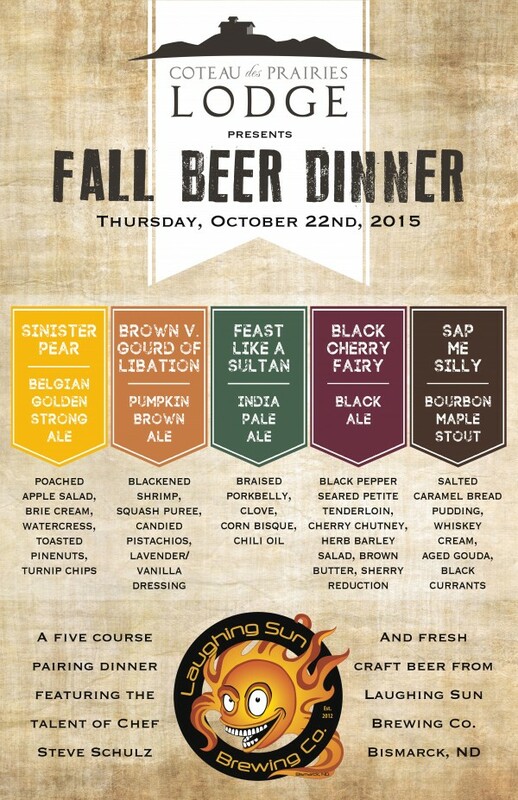 We are hosting a unique beer dinner on the evening of Thursday, October 22nd. 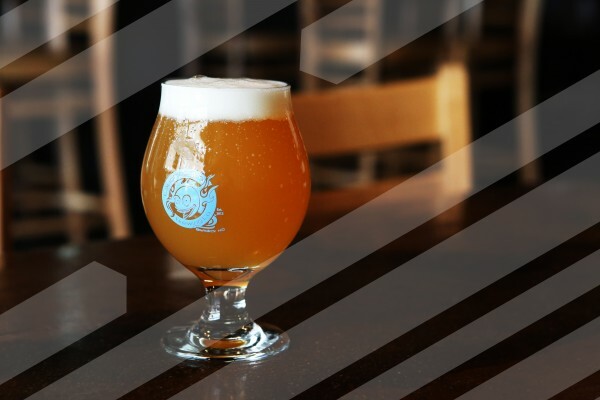 We are featuring five amazing craft beers from Laughing Sun Brewing Company (Bismarck, ND) paired with a five course dinner designed and prepared by Executive Chef Steve Schulz from The Toasted Frog (Fargo, ND). Mike Frohlich and Todd Sattler, co-owners and co-founders of Laughing Sun will also be joining us for the evening. At our Fall Beer Dinner, you will experience a ‘one night only’ menu complete with brewery stories and expert pairings. Mike and Todd will introduce each of their beers and tell us all about their experience launching a brewery during the renaissance of craft beer in the heart of North Dakota’s capital. Chef Steve Schulz will describe the pairings as each course is served. As a small brewery which opened just a few years ago, Laughing Sun has limited distribution of their incredible beers so unless you’ve been to their brewhouse pub or a handful of restaurants in the Bismarck area, you probably haven’t had the chance to try it. Some of the beers featured at our fall beer dinner are only served at the Laughing Sun pub and are not distributed to restaurants, making this food pairing event all the more special. Laughing Sun sources premium ingredients as much as possible from area producers to make their beers truly local. Laughing Sun Brewing Company was started in 2012 by owners Mike Frohlich and Todd Sattler. Their partnership was born out of a monthly poker game and a conversation outside the Corral Bar during a break from the live music inside. After a long search for the right location, they found a space in the historic Laskin Building in downtown Bismarck, ND, and then they built the brewhouse and pub literally from the ground up. Mike is an award-winning professional brewer who learned his craft at the Rattlesnake Creek Brewery & Grill in Dickinson, ND. Todd has been a home brewer since the 1980s with a deep appreciation and knowledge of the craft. Laughing Sun features a wide variety of exceptional year-round and seasonal beers. Laughing Sun’s mission with their pub is to have a place where the local community can feel welcome and involved. Their walls feature the work of local artists. Their stage is open to local musicians, poets, writers, and thinkers with original compositions and ideas. It is a special place. You are invited to visit them in downtown Bismarck. Executive Chef Steve Schulz leads the culinary team at The Toasted Frog, a premier restaurant in downtown Fargo, ND. The event is on Thursday, October 22nd at Coteau des Prairies Lodge. Everyone is welcome, but space is limited and meals are available by reservation only. Alcohol will be served only to those over 21 years of age. The price is $65 per person. The meal includes a gourmet five course meal and 6oz. of beer served with each course. Water and coffee will be provided. Sodas and additional alcoholic beverages will be sold at the bar. Doors open at 4pm, guests are welcome to come early, tour the lodge and enjoy refreshments served at the bar. When you arrive at the lodge, sign your party in with our hostess. Guests will be seated for the meal promptly at 6pm.